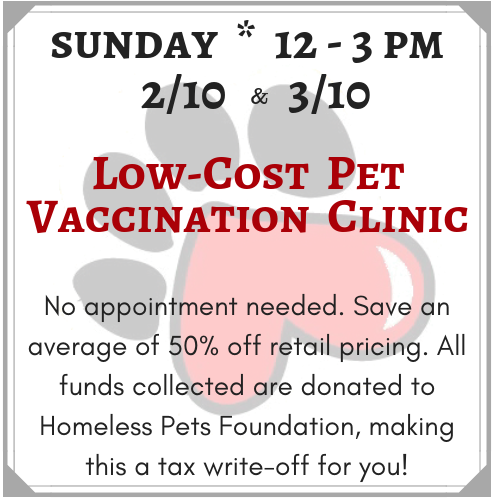 Save an average of 50% off retail pricing for vaccines and supplies like flea, tick, and heartworm preventative. You will also receive a gift card for a FREE pet exam at Town & Country Veterinary Clinic. ($50 value) 100% of the fees from this clinic will be donated to the Homeless Pets Foundation. Making this a donation and tax deduction for YOU!